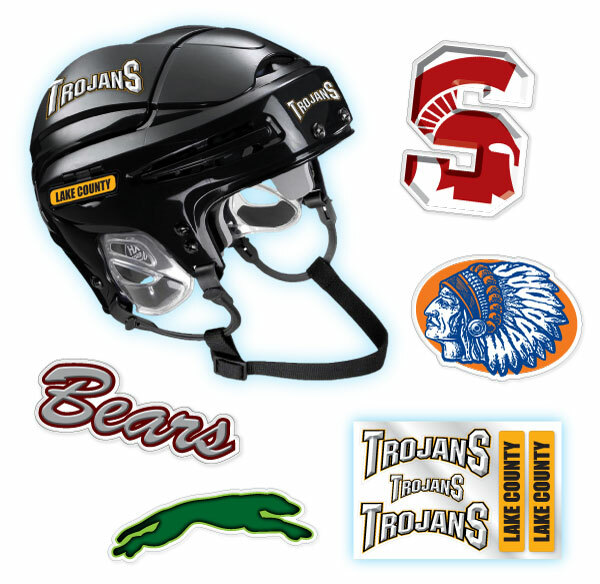 Team Pride Awards creates customized hockey helmet decals of all varieties from awards, name strips and numbers. You can create your design as you envision it or we can create a custom design just for you. Our decals are made of tough, durable and thick 20mil flexible vinyl that is easy to apply. It does not wrinkle and can last a full season. If you choose to remove it, you can do so easily with little or no adhesive.